All the below equipment is individual components for audio systems. For most of these systen you will need to have your own audio system and ensure compatibility. If you are looking for a complete audio hire solution then check out our speaker hire page or if you are looking for something battery powered then take a look at our Portable PA solutions. Included one standard quality mic (not a vocal mic) and an XLR cable. Your speaker system must be able to accept XLR connections. Suitable for speeches. 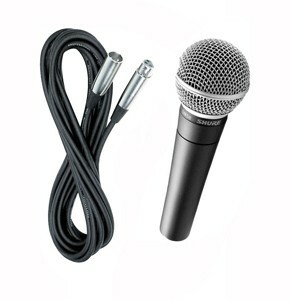 Includes 1 receiver unit and 1 handheld microphone. Batteries included for mic. XLR connection required. Click here for a list of our audio equipment, speakers, mixers and mics available for hire. Starting from just $80. Quality Audio Equipment is designed for sound listening pleasure, and without those powerful amplifiers, speakers CD players and more, house parties, music concerts, discos, nightclubs, and any special event or occasion would be dull, drab affairs or places to be. Today, the range of brands and models in audio equipment is so vast, that it has become relatively easy to select a sound equipment system to suit your specific needs. However, purchasing any popular brand and model of sound equipment, comprising of just CD player, amplifier and speakers, could involve a considerable sum of money. Then again, it would make one think twice before investing in new, audio equipment if and when the system purchased earlier both malfunctions, requiring expensive repair, or becomes outdated. Considering the high costs involved in purchasing audio equipment, it would make sound sense to opt for an audio equipment hire model, from the numerous options offered by professional, Perth Audio Equipment Hire companies, such as Hire King. What’s more, with an audio equipment hire model, not only will you save big on the exorbitant, cost of purchasing a sound system, but you could hire different models, at anytime or every time you choose to … saving more each time you do so. The range of audio equipment hire options includes highly-advanced, commercial sound systems, or more basic and standard systems for home use. ▪ Mixing consoles ▪ Radio receivers’ ▪ AV receivers’ ▪ PA systems ▪ Microphones ▪ Headsets ▪ Tape recorders ▪ Speaker cables and a wide variety of other relevant accessories. To select the ideal, audio equipment hire product, let’s remind ourselves what audio equipment is all about. Audio equipment systems consist of different components, each with separate and individual capabilities of recording, reproducing, processing and delivering sound in the form of music or voice. The ideal, choice of audio equipment hire option will primarily depend on the nature and size of the venue where this equipment is intended for use. This, in turn, will determine what output wattage and RMS / PMPO power rating of the amplifiers and speakers will be suitable. For example, in a small, closed indoor area, you may not require big sound and therefore, compact amplifiers and speakers of lower sound output can deliver disturbance and echo-free sound. However, for an outdoor concert held in a large outdoor area, you’ll need larger, and much more powerful (stacked or tower-type) speakers to distribute the sound to all corners of the venue. In some cases, amplifiers with a sound output of 100,000 – 500,000 watts may be required, along with speakers to match this output. Another factor to consider is ‘portability’. This is if you need to transport your audio equipment frequently from one venue to another. In this case, you will need to arrange for adequate packing. Fortunately, Hire King, like most other reliable, Perth audio equipment hire companies, have a range of ‘portable’ sound equipment hire products that you can use at home, in your backyard, or even carry along with you to a picnic. Audio equipment hire, whether for commercial use or home listening pleasure, is now within easy reach. So, if you wish to save a ton and have a blast for your next party bash, make a great start … talk to Hire King, or any Perth audio equipment hire company. You’ll have more reasons than one to dance all the way to the bank.